Dr. Petti and her daughter, Jacqueline Stoneburner, co-authored a manuscript on laser cellulite treatment and laser-assisted lipoplasty of the thighs and buttocks, which was published in “Lasers in Surgery and Medicine”. Read here. I am honored you have chosen to learn about me and my philosophies as a plastic surgeon. I am devoted to excellence. I have worked to achieve a practice with only one thing in mind — helping you accomplish your cosmetic surgery dreams with minimal risk and maximum results. Using my skill as a surgeon who specializes in cosmetic procedures to assure you of a pleasing aesthetic result is only one part of my role as an exceptional plastic surgeon. I also commit myself to helping you look beautiful for years to come. That’s why I direct a medically based day spa, Spa Bella, dedicated to providing customized medical skin care treatment programs to help you continue your beauty infinitely. I believe that beauty is twofold, combining aesthetic eye appeal with inner peace to create a feeling of complete well-being. My cosmetic surgery practice, Palos Verdes Plastic Surgery Medical Center, works in synergy with Spa Bella, our innovative medical day spa, to bring you the best of both sides of beauty. We work to achieve total enhancement in one beautiful setting. My aesthetic instincts and my passion for excellence naturally led me to the specialty of plastic surgery. I am more than enthusiastic and feel very fortunate to be able to participate in this fabulous field as my profession. Each year, I am more convinced that what you believe, you can achieve. During your consultation, you and I together will formulate a plan for your desired cosmetic enhancement. Once your cosmetic image is achieved, your recovery process necessitates physical as well as emotional healing. My professional and caring staff will hold your hand every step of the way. Last but not least, my greatest reward is the smile on your face when your beauty dream has been achieved. Christine A. Petti, M.D., F.A.C.S. Christine Petti, M.D., F.A.C.S. is a Diplomate of the American Board of Plastic Surgery and has been Medical Director of the Palos Verdes Plastic Surgery Medical Center in the Los Angeles metropolitan area since 1990. Dr. Petti specializes in aesthetic plastic surgery, laser surgery, and the most contemporary non-invasive, aesthetic surgical treatments. She is the Medical Director of Spa Bella, A Medical Day Spa created in 1998. Throughout her career and still today, Dr. Petti continues to feel inspired, humbled, and very privileged to be a member of the plastic and aesthetic surgery community. She values the lives, safety, and aesthetic outcomes of all of her patients, as demonstrated by her commitment to upholding the highest standards of excellence in all areas of her practice. 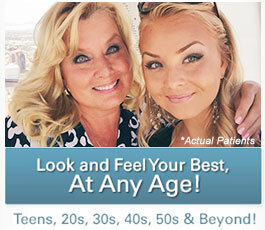 Dr. Petti customizes all of her surgical and non-surgical treatments. She herself performs all of the treatments for her patients and is known for her confident, caring, authentic and endearing bedside manner. In addition to being artistically talented, she has a keen aesthetic eye—which helps her plan and create the beautiful, natural-looking results she is known for. She prides herself in being able to think outside the box and solve difficult aesthetic surgery dilemmas. Because of these demonstrated skills, she is often referred complex cases that are reoperative in nature and require extreme skill, experience, and technological fortitude. Dr. Petti is considered an expert in the field of laser surgery, working as a consultant with Cynosure laser company, collaborating and publishing clinical research projects on laser liposuction, laser treatment of cellulite, and noninvasive laser treatment of lipodystrophy and skin laxity. Her practice is an official training center for Cynosure lasers procedures including Smartlipo™, Cellulaze™, Precision Tx™ laser treatment of the neck, SmartSkin™ fractional CO2 laser skin resurfacing, and SculpSure™ non-invasive fat reduction laser. Dr. Petti is one of six clinical investigators in the FDA study of Cellulaze™, the revolutionary minimally-invasive laser treatment of cellulite, and she currently trains plastic surgeons around the world in the laser-assisted cellulite treatment, as well as laser-assisted lipoplasty, Smartlipo™. Her current research is on Smartlipo™ and SculpSure™, and she has participated in several studies over the years, including a year-long multi-center study follow-up for Cellulaze™ treatment. She also continues to present to her peers on laser-assisted body contouring, and has lectured on this topic for the American Society for Laser Medicine and Surgery, as well as The Aesthetic Show. Dr. Petti is certified by the American Board of Plastic Surgery and a Fellow of The American College of Surgeons (FACS). She also maintained her general surgery board certification through 2008. She is a member in good standing of the American Society for Aesthetic Plastic Surgery (ASAPS), the American Society of Plastic Surgeons (ASPS), and the American Society for Laser Medicine and Surgery. Dr. Petti is a member of the medical staff of both Torrance Memorial Medical Center and Providence Little Company of Mary Hospital. She is also an expert reviewer for The Medical Board of California, and a member of the Advisory Board for Cancer Support Community of The South Bay. 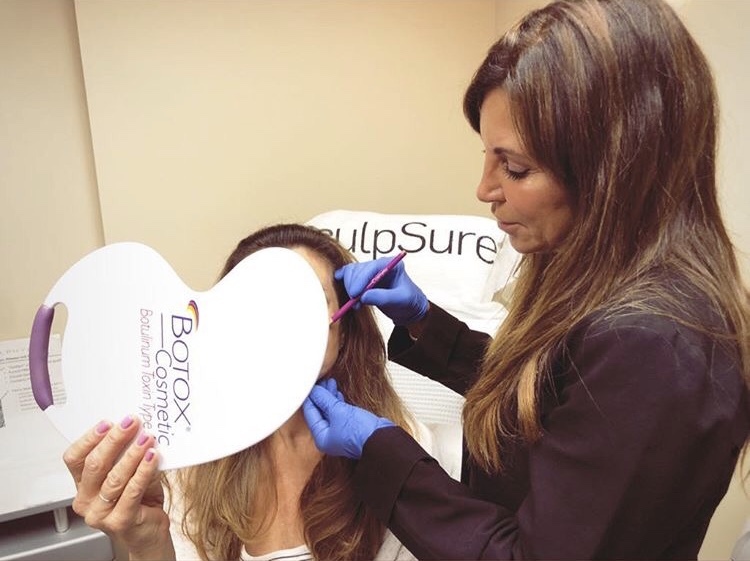 In her early career, she was a Clinical Instructor in Plastic Surgery at The University of Southern California, teaching plastic surgery residents during their clinical training. She is also active in community educational seminars, guest-speaking events, and she provides clinical internship opportunities, sharing her surgical skills and knowledge to teach college students who are interested in medicine and surgery. Dr. Petti completed her undergraduate education at Saint Mary’s College of Notre Dame. She then attended medical school at Georgetown University and The Medical College of Pennsylvania, and completed her plastic surgery residency at the prestigious Pritzker School of Medicine of the University of Chicago. Importantly and additionally, she completed a five-year general surgery residency. US News and World Report has named Dr. Petti as one of the Top Doctors in the country. Additionally, her medical spa, Spa Bella, has been voted “Best Medical Day Spa” in South Bay by the Easy Reader, and she herself voted as “Best of the Beach Cosmetic Surgeon.” She has also achieved the honor of being named “Best Cosmetic Surgeon”, “Best Medical Day Spa”, and “Favorite Day Spa” in the South Bay by the Daily Breeze of Los Angeles multiple times. Dr. Petti has been a guest speaker on the CBS television series The Doctors for four consecutive years. She has also appeared on ABC’s 20/20 as a medical expert, and has been featured on NBC’s Inside Edition. She is currently working with other major television networks, including The Discovery Channel and The Plastic Surgery Channel, as a plastic surgery expert as well. 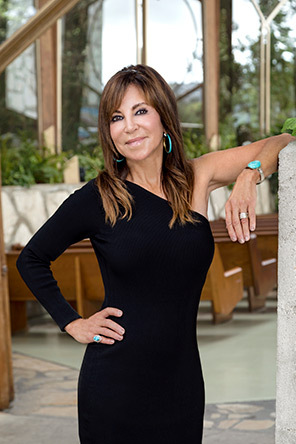 Over the years, she has been quoted in The Los Angeles Times and Daily Breeze of Los Angeles, and continues to be a resource for many Internet medical journalists who write on topics concerning aesthetic plastic surgery. Outside of work, Dr. Petti enjoys spending her free time with her husband, Dr. John Stoneburner, a cardiothoracic and vascular surgeon and her two daughters, Lauren and Jacqueline. Lauren graduated from The University of Southern California with a double major. She has earned a B.S. in Environmental Studies and a B.A. in Human Evolutionary Biology. Lauren is pursuing a Master of Environmental Management at The Yale University School of Forestry and Environmental Studies. Jacqueline graduated from The University of Notre Dame with a B.S. in Science – Business and a supplementary major in Spanish. Jackie is pursuing her Doctor of Medicine (M.D.) at The Keck School of Medicine of the University of Southern California. Skiing, jogging, and hiking have been favorite family pastime activities. They especially love sharing their leisure time with their Siberian husky, Bravo, and recently adopted orange tabby kitten, Tigger. 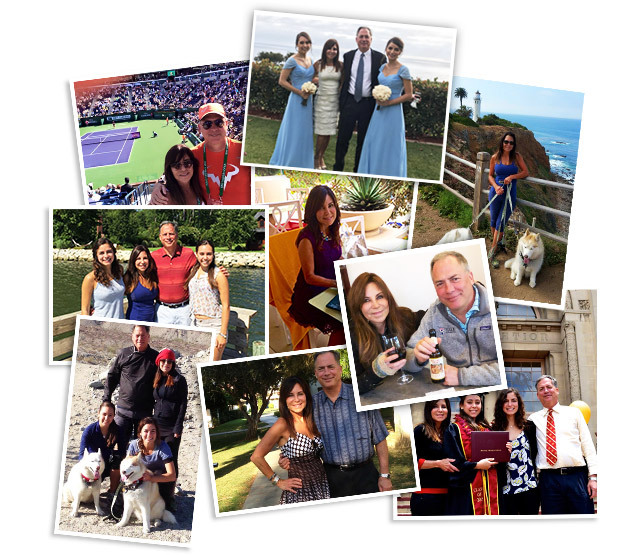 The Indian Wells BNP Paribas Tennis tournament is a must each spring and trips to the Stoneburner family cabin on the Chesapeake Bay are enjoyed each summer. College football and year-round tennis are the sports the family love to follow. The classic rivalry between The University of Southern California and The University of Notre Dame leave the house divided for brief moments, but with celebration and pain comes family laughter and bonding! As an only child, Dr. Petti dearly misses her deceased father and mother, who have given her the intelligence, morals and stamina to pursue, succeed and remain passionate in her beloved field of plastic and reconstructive surgery. Education, ethics, integrity, humility, morality, patriotism, humanity, honesty, health and happiness are cherished by all members of the Petti-Stoneburner family. 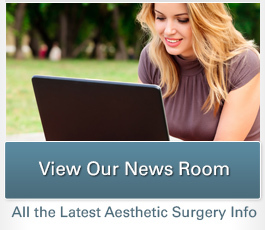 A plastic surgeon is a physician extensively trained in both cosmetic and reconstructive surgery procedures. Typically, a plastic surgeon completes at least six years of specialty surgical training, with three years focused solely on plastic surgery. A plastic surgeon may focus on reconstructing areas of the face or body affected by an accident/injury, surgical procedure, or congenital defect. He or she may also use plastic surgery techniques to helping patients achieve aesthetic improvements in the appearance of their breasts, body, face, and skin. Dr. Petti often emphasizes the benefits of having a female plastic surgeon perform cosmetic and reconstructive procedures for women. As a woman, Dr. Petti has intimate personal insight into the aesthetic concerns and goals females have. She has developed and refined many unique surgical techniques that help her achieve superior results with breast augmentation, breast lift, and breast reconstruction procedures. Additionally, Dr. Petti is always at the leading edge of innovations in anti-aging and body contouring, and she uses these advancements to help women achieve the specific figure enhancements and youthful rejuvenation they desire. High-quality plastic surgery and non-surgical cosmetic treatments can empower women, and no one understands this fact more than Dr. Petti. Board certification is designed to ensure that plastic surgeons have completed the required amount of specialty training and possess the knowledge, skill, ethics, and character necessary to uphold the high standards the profession demands. The American Board of Plastic Surgery (ABPS) oversees a strenuous testing process that consists of both written and oral exams, the passage of which determine whether or not a candidate will become certified. Once a plastic surgeon attains board certification, he or she must retake exams every ten years to maintain certification. Selecting a board-certified plastic surgeon means you are choosing a surgeon who has distinguished themselves among the most highly trained and skilled professionals in their field. The rigorous requirements for board certification help ensure that patients receive plastic surgery treatment and medical care performed ethically and with excellence. If you are considering plastic surgery and want to meet with one of the foremost female plastic surgeons in Los Angeles to discuss your goals, we encourage you to contact our practice to schedule a consultation with Dr. Petti.